Addicted to racing? 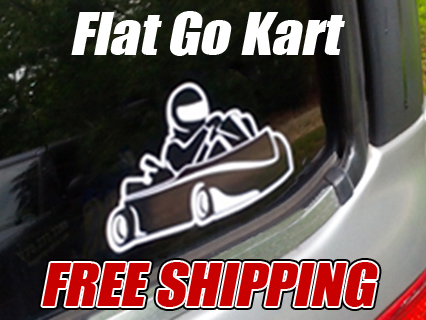 Don't try to hide it, display it proudly with these custom designed decals! 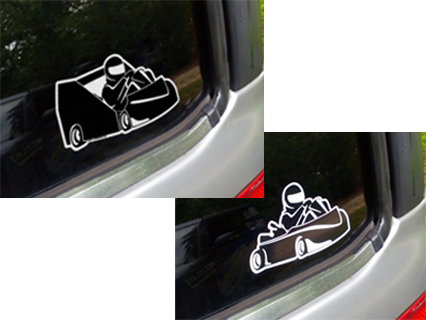 For these decals, we use the same heavy duty 3M vinyl we print our go-kart wraps with, and they are also overlaminated to provide UV and scratch resistance, just like our wraps. Not only do these stickers look great, but we can guarantee that they might, possibly, maybe, help you win every single race! Don't wait another minute, get yours now! Decal measures approximately 6"x3.5" and is mailed in a simple #10 envelope with installation instructions. 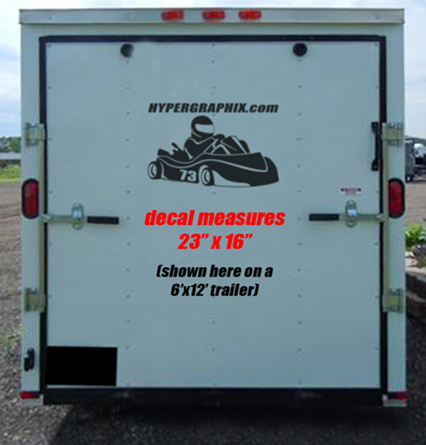 Due to the short lifespan of fluorescent and holographic vinyls, we do not offer them for trailer graphics. 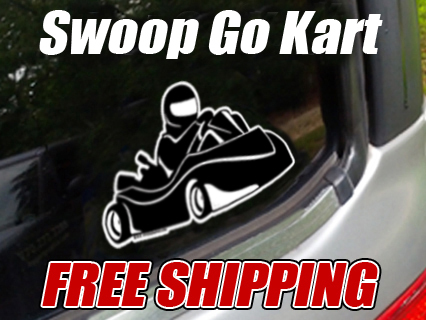 The vinyl we use is meant for vehicle graphics, and is rated for up to 6 years outdoors. Fluorescents and holographics are rated at 6 months and should NOT be used on trailers. FREE* USPS PRIORITY SHIPPING INCLUDED!! 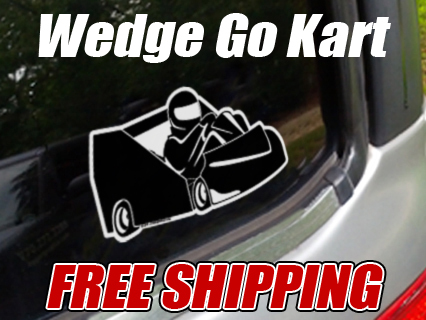 * Free shipping limited to Continental USA only.